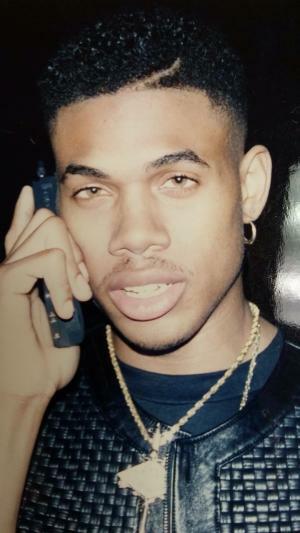 DeVante Swing was born as Donald Earle DeGrate, Jr. on the 29th September 1969, in Hampton, Virginia USA, and is a musician, singer and songwriter, who is probably best recognized for being the founder of Jodeci, an R&B group which has released four studio albums, including “Forever My Lady” (1991) and “The Past, The Present, The Future” (2015). He is also known for being a record producer, owning the record label Swing Mob. His career has been active since 1987. So, have you ever wondered how rich DeVante Swing is? Sources estimate that the total size of DeVante’s net worth is equal to $5 million as of mid- 2016, with the main source of this amount of money being his career in the music industry. Additional to this, he has collaborated with a great number of musicians, which has also added to his net worth. DeVante Swing spent his childhood with brother Dalvin in Charlotte, North Carolina; he is the son of a former minister, and he hails from a family that belonged to the Pentecostal church. Thus, from an early age he was introduced to gospel music, and later he played 11 instruments and sang at the church. However, in his teens DeVante began rapping together with his brother Dalvin, and soon after they met the Hailey brothers. In no time, DeVante’s career began when he formed the R&B group Jodeci in 1988, with his brother Mr. Dalvin, and Joel “JoJo” and Cedric “K-Ci” Hailey. The group signed with Uptown Records, and in 1991 released their first album, entitled “Forever My Lady” reaching No. 1 on the US R&B charts, and achieving a three times platinum success. They continued in the same way, as their second album “Diary Of A Mad Band” (1993), also topped the R&B charts, and achieved double platinum status, increasing DeVante’s net worth to a large degree. The group released one more album, “The Show, The After Party, The Hotel” (1995), which achieved platinum status, adding further to the overall size of Devante’s net worth, before going on a hiatus that lasted 20 years. Most recently they have released their fourth studio album “The Past, The Present, The Future” (2015), which reached No. 2 on the US R&B charts. Apart from his successful career as a member of Jodeci, DeVante has also been recognized as a producer, collaborating with numerous famous musicians including Mary J. Blige, Usher, Kurupt, Ray J, 2 Pac, Aerosmith, and many others, which has also contributed a lot to his net worth. Furthermore, he started his own record label, Swing Mob, to which he signed artists such as Missy Elliot, Timbaland, Stevie J, and Ginuwine, among others. His net worth is certainly rising. If to talk about his personal life, there is no information in the media about DeVante Swing, as he obviously keeps it private, although he is an active member across many of the most popular social media platforms, such as Twitter, Facebook, and Instagram, on which he has a great number of followers. 1 Brother of Dalvin Degrate. 2 Produced Songs for Tupac Shakur, including Pain.